Call me crazy, but I kind of like Mondays. I know I’ve said it before, but it’s true. I know a lot of people dread it but I kind of love it. You sit down, plot out your week, make plans. It’s kind of a fresh start, right? Plus, I always feel sort of refreshed on Mondays. By Thursday, I’m sort of dead. I find myself to be super productive on Mondays. Anyway, I just feel like the season is flying by. It’s already December 5th and we’re 20 days away from CHRISTMAS. I can’t even believe it. LESS THAN 3 WEEKS AWAY! 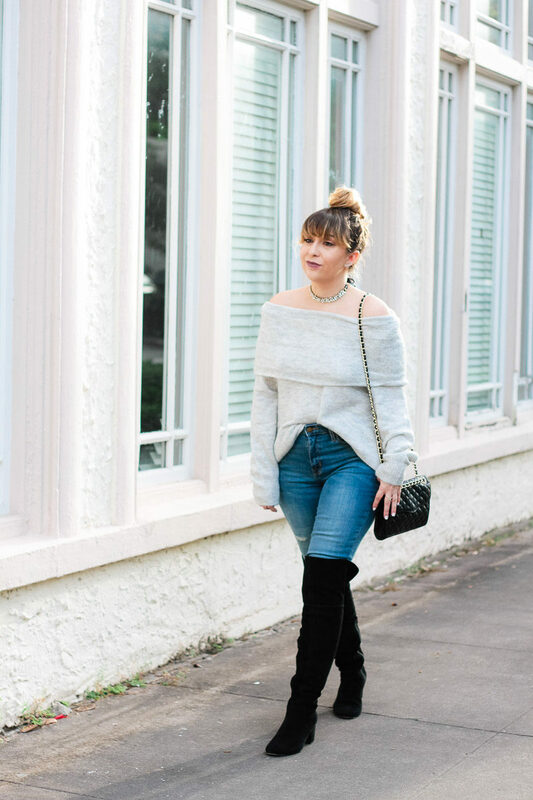 In lieu of an actual winter here in Miami, I find myself cranking up the a/c and pulling out ALL the cute sweaters. The real temperature doesn’t matter. (It’s 80, btw. Don’t care.) I work from home, so whatever. 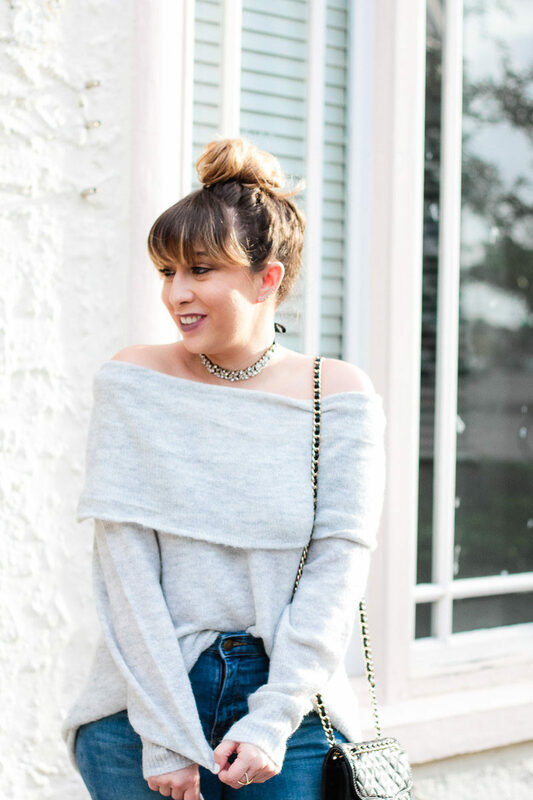 I can wear a sweater in my house if I want to. 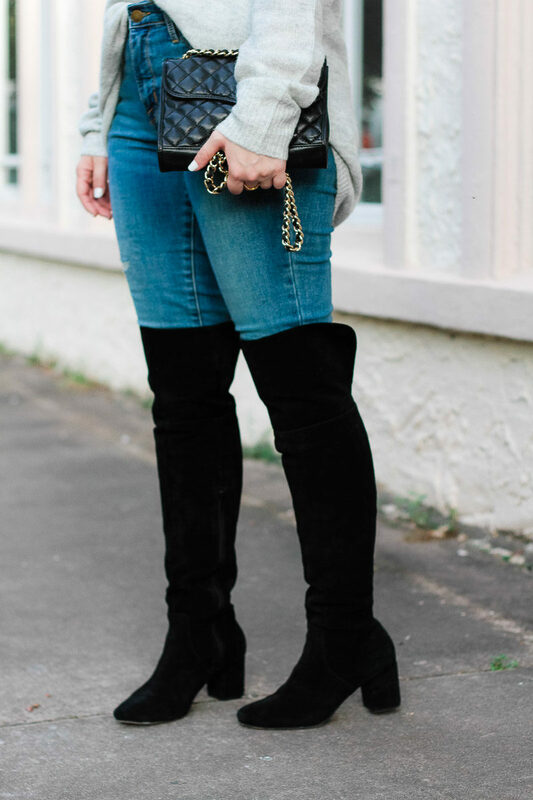 And all the over the knee boots. 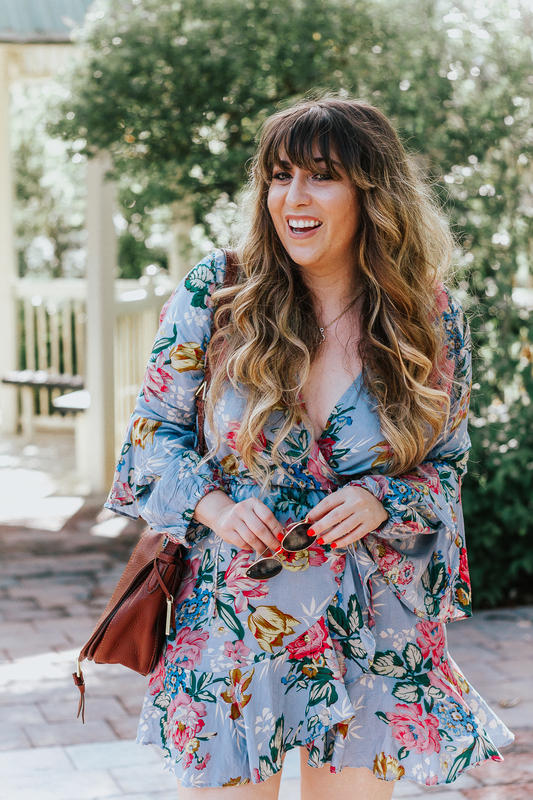 However, I know most of YOU babes are NOT sitting inside in 80 degree weather, so I figured I’d continue shooting seasonally appropriate outfits for you. 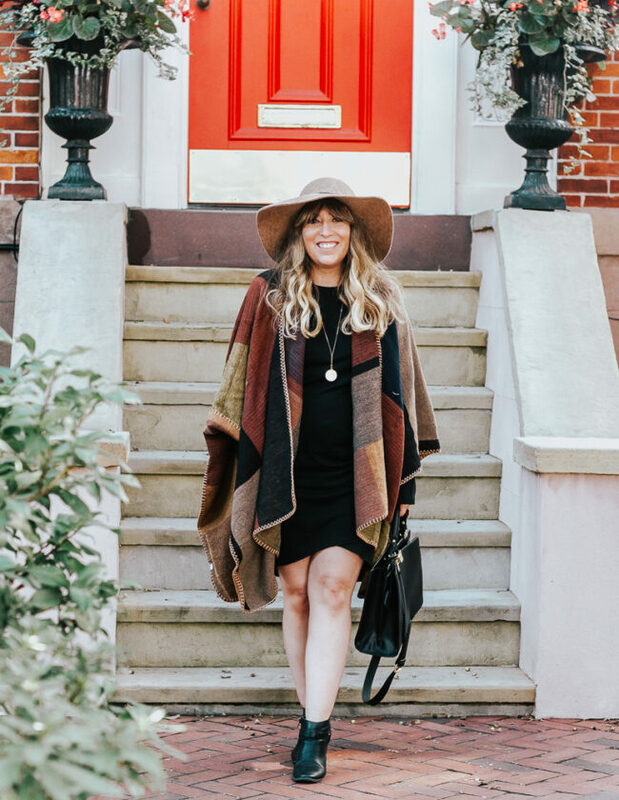 If you’re in Miami like me… just… drop the thermostat to 60 and you’re golden. LOL. SORRY NOT SORRY. 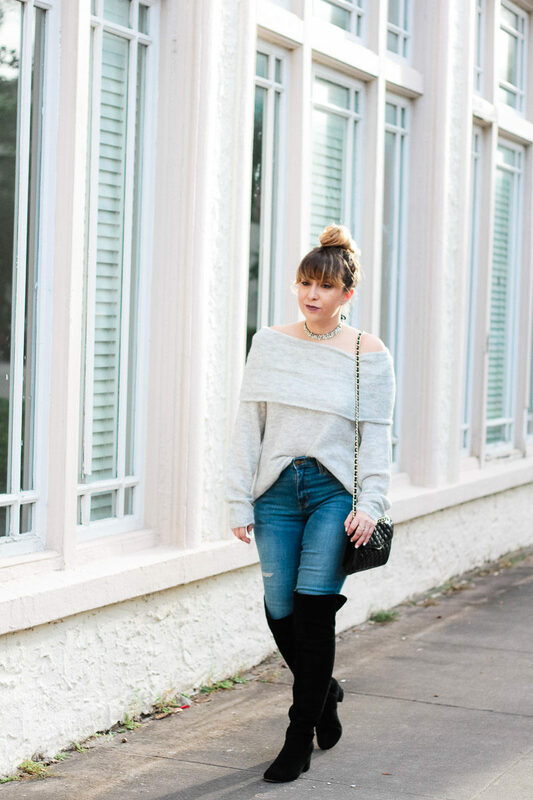 This off the shoulder sweater is so good… it’s cozy and soft and only $27.99. It’s also available in a maroon color, but I love the soft gray. I ordered a medium because I wanted it to be a little more oversized, btw. 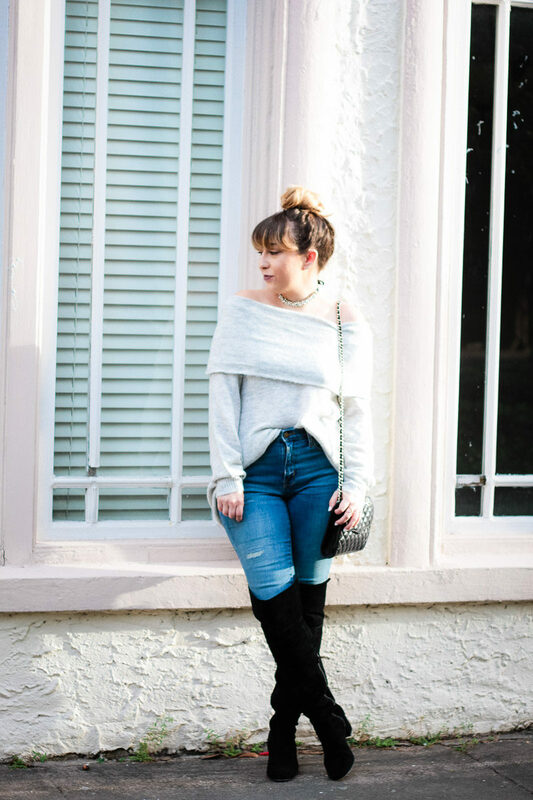 I can’t wait to style this off the shoulder sweater with leather leggings or with a cute jean skirt… it’s super versatile and I can tell I’ll get tons of use out of it! 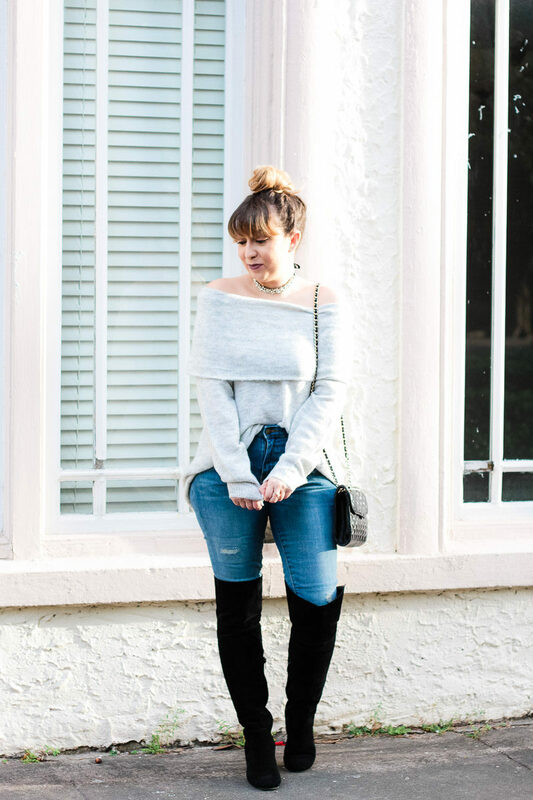 I love the idea of pairing an off the shoulder sweater with a choker… it really gives you the opportunity to showcase a really glam standout choker. 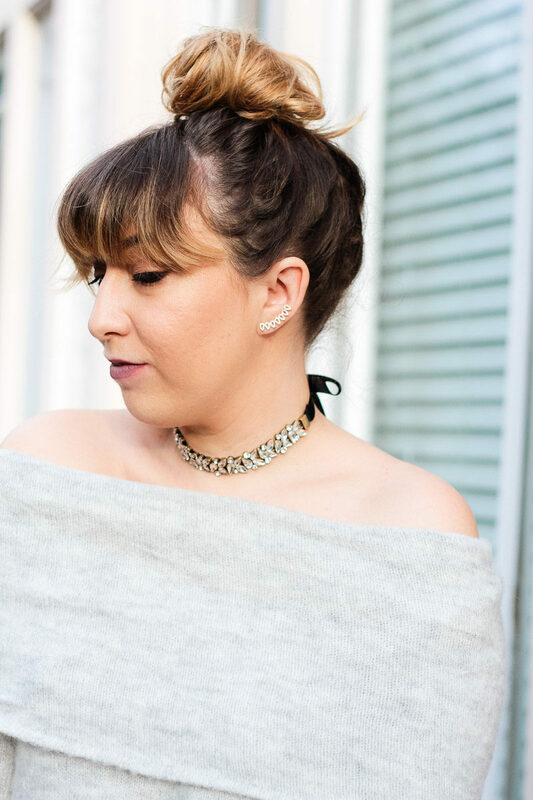 I am obsessed with the Baublebar Andra choker. Remember I added it to my holiday wishlist? Well I couldn’t wait ’til Christmas so here we are! I basically haven’t taken it off since it came in last week. 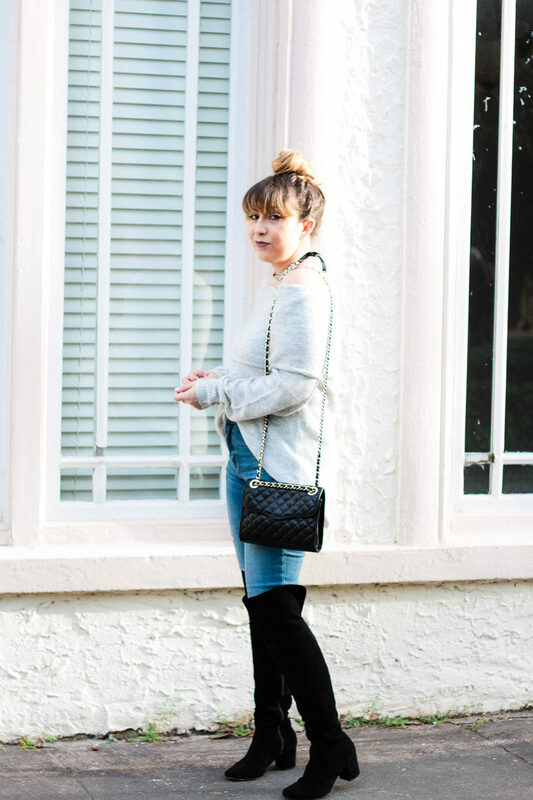 These Sole Society boots are so, so comfortable. I could easily wear them all day long and run around in them. I like that they’re not a flat boot, but the heel isn’t high or anything. They’re totally manageable. 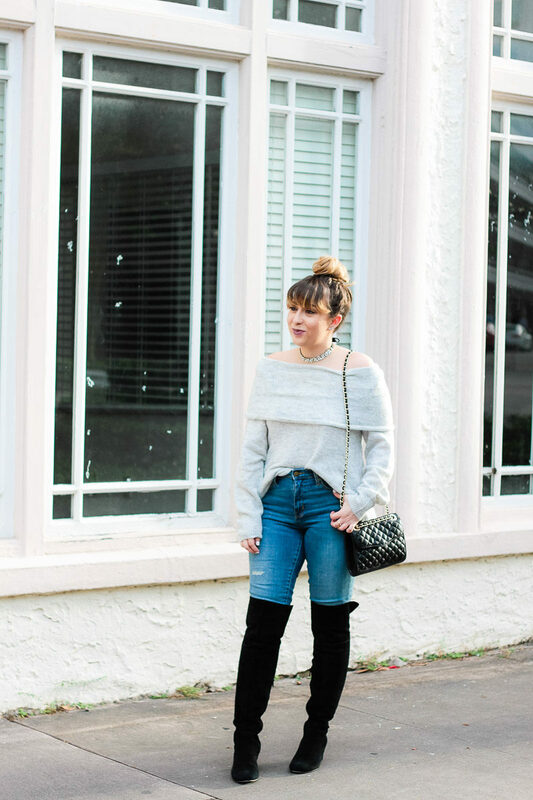 Probably the most comfortable boots I own! I can’t recommend them enough. 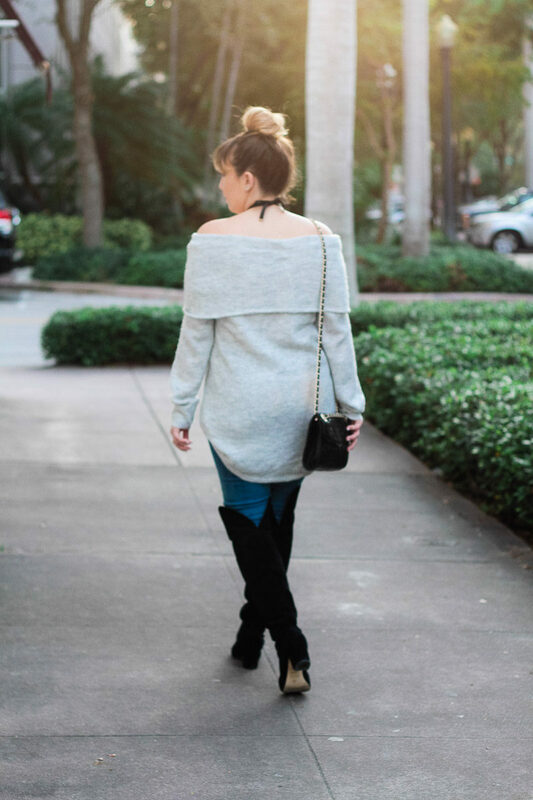 Get a closer look at my outfit below!